Charles MostollerU.S. Federal Reserve Chair Janet L. Yellen speaks with attendees before she addresses the World Affairs Council of Philadelphia in Philadelphia, Pennsylvania, U.S., June 6, 2016. 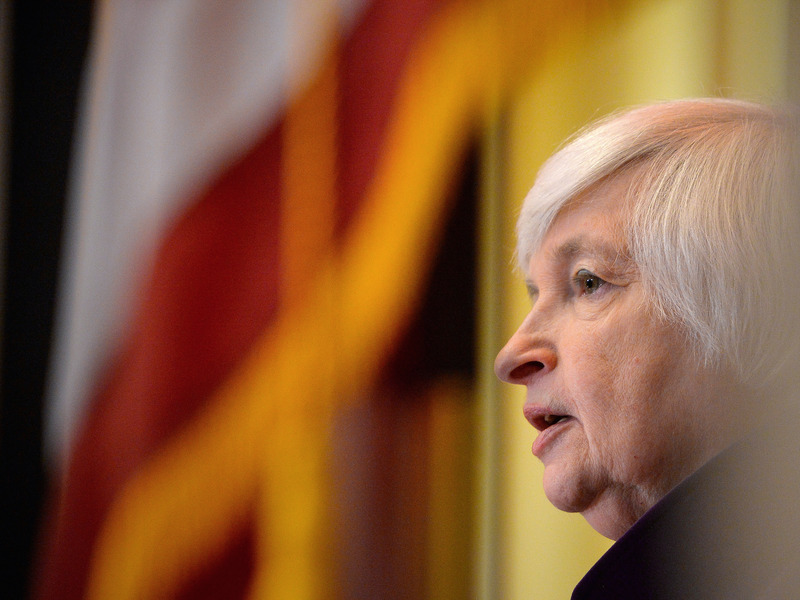 Earlier Wednesday, the Fed left interest rates unchanged, as expected. Its statement acknowledged the May slowdown in hiring, adding that the Fed expects labour-market indicators to continue to strengthen. Yellen noted that the neutral rate is quite depressed by historical standards, and members now see a downward shift in their assessment of where the rate is because of factors that aren’t so temporary. It could be part of “the new normal,” she said. She noted that minimum-wage increases are having a relatively minor influence on the overall level of wage inflation. While expanding on the main points from the Fed’s statement, Yellen said some factors weighing on growth were anticipated, but a slowdown in parts of the economy unrelated to crude oil weren’t. The second estimate of first-quarter gross domestic product (GDP), due for revision again soon, showed that the economy grew at the slowest pace in a year. She said “cautious is all the more appropriate” so the Fed can verify the economy’s progress, and because the policy tools to support the economy in a downturn are fewer than those to cool it. “We need to assure ourselves that the underlying momentum in the economy has not diminished,” she said, adding that the Fed’s forecasts suggest “healthy growth” for the rest of the year. Yellen said the Fed discussed the upcoming British referendum on whether to remain in the EU, and it was one of the factors in Wednesday’s decision to hold rates. On a question about the Fed’s long-term rates outlook being much higher than where bond yields are, Yellen said the Fed gives its best estimates. And there’s lots of uncertainty around their numbers.